Musings on the Art Market: Zhang Daqian and Qi Baishi top earners in global auction sales. Zhang Daqian and Qi Baishi top earners in global auction sales. Of course, right after I submit my article on the Chinese art market to the Journal of Appraisal Studies, Artprice.com comes out with the latest stats. on China's place in the global art market. In my article I quoted Thierry Ehrman, the founder of Artprice.com, as saying that in 2010 China accounted for 33% of global fine art sales displacing the U.S. and U.K. and France for the first time since sales had been recorded. I also cited Artprice's 2010 Top-10 list of artists by auction revenue which included Qi Baishi and Zhang Daqian. At the time Pablo Picasso stood at number 1 and Qi Baishi was number 2. Well, it's 2012 and Artprice has come out with new stats for 2011. Time to revise again. China is still number 1 in total revenue for fine art but its market share has increased to 39% (from 33% in 2010). The US is number 2 with 25% of the market (down from 30% in 2010). Pablo Picasso has been displaced by Zhang Daqian as the top auction earner ($507 million) followed by Qi Baishi ($445 million). Picasso is now ranked fourth (311.6 million). Bloomberg News quotes Larry Warsh, a NY based collector, as saying it's not a big surprise, given China's abundance of cash and rich history of collecting. Also cited as underlying its rapid ascent in the global art marketplace is the nationalist sentiments of Chinese collectors who have their own artist heroes. Well, yeah, but there is more to these sky-high prices than conspicuous consumption and nationalistic fervor...There is market speculation by art investment funds, property flipping, rampant non-payment by Chinese buyers of some of the highest-priced properties, price-ramping and the false attribution of art by Chinese auction houses. 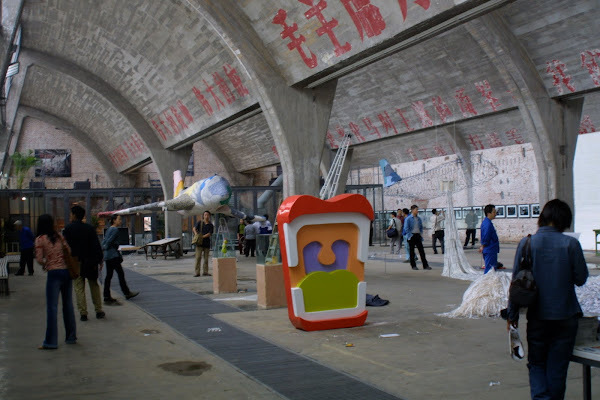 The question remains: The Chinese Art Market: Sustainable Growth or Bust? ?